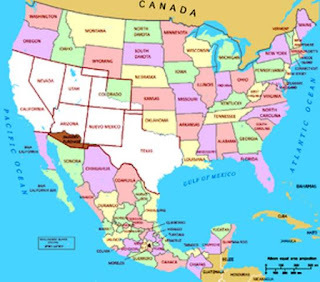 With ever increasing speculation as to whether or not President Donald Trump will “Build the Wall” pursuant to his campaign promises, we have a unique moment in history to reflect and assess how the “It’s complicated” relationship status (to borrow from Facebook) arose between The United States of America and The United Mexican States and how we could improve it. Just take that little point there: Did you even know that the actual name of “Mexico” is merely our shorthand for “The United Mexican States”? The very same report also indicated that 48% of Mexicans as recently as 2015 believed that they would have better lives in America. So all told, just shy of half the population wholeheartedly believe that America offers a better life and over a third are willing to leave their country to get it, and 20% are willing to do so illegally! It’s no small wonder we have a serious illegal immigration problem. The interesting thing is that all of this could have easily been averted, had the victorious American forces in the Mexican-American war been authorized by Congress to stay in occupation and make preparations to admit the States of Mexico to the union. 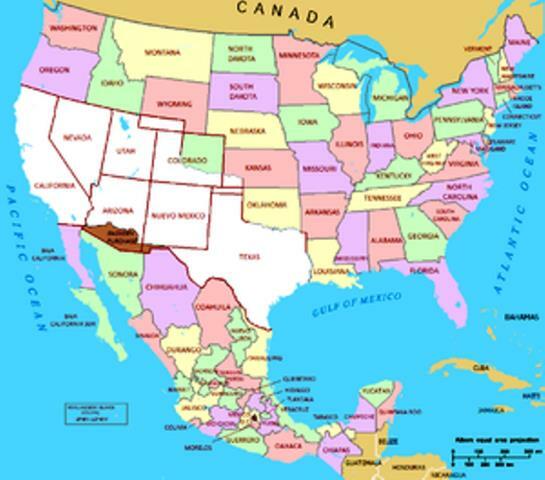 Instead we had the Treaty of Guadalupe-Hidalgo and later the Gadsen Purchase which in my humble opionion only served to create an unstable, broken nation-state partially embittered against us to this day as evidenced by their overthrow of nine governments from 1854 on. So today I raise the question: What greater show of brotherhood and of a post-racial nation could we provide, than to invite the Mexican States to join the Union with open arms? This isn’t satire, I’m not joking. Rather than constructing a wall that costs billions and fosters enmity between our nations and our own people at home, why not welcome 129.6 million new American citizens to our great nation. Half of whom believe they will have a better life here, a third of whom wish to leave their home to join us, and a fifth of whom would defy laws and possible death to do so. Truly through the completion of “Manifest Destiny” through diplomatic means instead of war, we could do more than “Make America Great Again” we could make America greater than we’ve ever been before. Streching from Canada to Guatemala and Belize, imagine it: a single, unified American nation. With the added 1.261 trillion USD of GDP, the bolstering of our forces with the Mexican Military (easilty integrated as they use our older equipment already) and our law enforcement supplemented by Federales, the Cartels could be eliminated within a decade. The industrious Mexican people embraced in the Constitutional protections that our Founders devised would flourish and bless us for centuries to come adding as they always have to our cultural beauty with all past division behind us. We could truly be los Estados Unidos de America, una nación bajo Dios, indivisible con libertad y justicia para todos. Now if only we could get Canada on board… Somebody call Trudeau... Oh, and add a few desks to the Senate and House Chambers, we’ll need the room.